Zheng Gu Shui - Brush Cap | Wing Ming Herbs, Inc.
Zheng Gu Shui, lit: “Rectify Bones Liquid”, penetrates to the bone level to promote healing and stop pain. 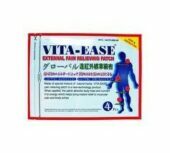 It is well known for its effectiveness at healing deep bone bruises and fractures. 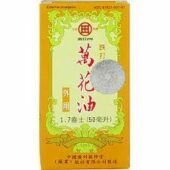 Zheng Gu Shui is a very penetrating liquid that dispels blood stasis and fluid stagnation. As the name implies, it penetrates to the bone level to promote healing and stop pain. It is the topical choice for deep bone bruises and broken bones. 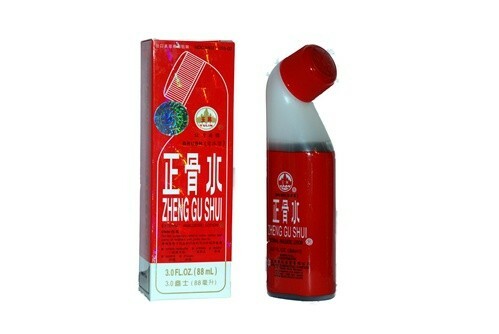 Zheng Gu Shui is produced by Guangxi Yulin Pharmaceutical Factory. The factory was founded in 1956 and has since become one ofChina’s fifty top-rated pharmaceutical industrial enterprises, with more than 700 employees, including 200 technicians. The company has strong technical support, modern facilities, and advanced manufacturing and testing equipment. The production processes meet the Chinese and Australian Good Manufacturing Practices standards. The company produces 11 types of medicines, including tincture, capsule, tablet, and syrup formats. Of them, Zheng Gu Shui and Ji Gu Cao Wan (a remedy for hepatitis in pill form) won the best quality award from public health ministry. The products of this factory are popular throughoutChinafor their dependable quality and remarkable effect, and they are exported to more than 20 countries. 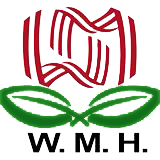 In 1997, the factory was given the honorary title of “advanced group of the national medical system” by the state personnel ministry and state pharmaceutical administration. Soak the fracture immediately and continuously for pain, bruising, swelling and healing. In case of fractures, set the bones first. Soak cotton balls with Zheng Gu Shui and apply, wrapping the cotton loosely with gauze. Leave on one hour for upper body, 1 1/2 hours for lower limbs. Shorten the time for children. Do this two times a day until the bone is healed. Do not apply to broken skin or open wounds. 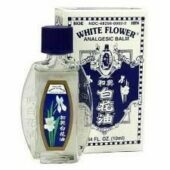 For backache, arthritis, strains, bruises, and sprains, apply 3-4 times per day. Useful before or after exercise for soreness and to strengthen tendons. Can be added to bath water.Menthol and camphor are common active ingredients in topical liniments. The combination of cooling and warming makes this liniment neutral and may be applied at any time.